China are now leaders of the Rio Olympics medal tally as they have a narrow lead over Australia while USA have fallen to third position. But the real happening at the Games is when Olympics officials have apologised to the Chinese contingent after discovering they were raising an incorrect Chinese national flag during medal ceremonies. 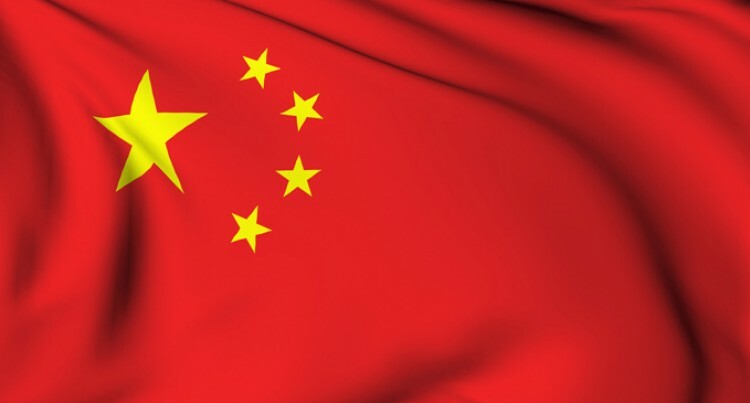 Both Chinese flags are red and feature a large yellow star flanked by four smaller stars. But there are subtle differences in how the smaller stars are aligned. “We do understand that there is a problem with the flag,” said Mario Andrada, Rio 2016 Olympic Games executive communications director yesterday. Viewers in China spotted the mistake and took to Sina Weibo- a Chinese social media site- to complain, according to China News Service (CNS), the state-run news agency. On the correct Chinese flag the four smaller stars should be rotated so that they point toward the center of the larger star. Instead, the flags used in Rio were positioned parallel to each other — like the stars on the American flag, for example. The correct Chinese national flag, displayed by fans at the 2008 Beijing Olympics. Andrada said the flags made for Rio “had been approved by the Chinese prior to production.” “This problem was discovered during the weekend. Yesterday we managed to contact the company producing these flags and they are producing a bunch of flags correctly now, so the first flags should be delivered here shortly,” Andrada said. At least Rio officials aren’t alone in their China flag flub. On Saturday, Australia’s Channel 7 network used the Chilean national flag instead of the Chinese flag. Brazil won its first gold medal of the Rio Games as Rafaela Silva secured the under 57kg judo title. The 24-year-old beat Sumiya Dorjsuren from Mongolia to give the hosts their first gold on Day 3 of the Games. Britain’s Nekoda Davis had earlier bowed out in the last 16 of the competition, losing a tight contest to London 2012 bronze medallist Automne Pavia. Pavia won 1-0 by virtue of a Yuko score as she flipped Davis on to her side and the 23-year-old Commonwealth Games gold medallist was unable to make a decisive move. Rio de Janeiro: The 84-year-old grandmother of a Thai Olympic bronze medal winner collapsed and died on Monday while celebrating the weightlifter’s success in Rio, police said. The octogenarian was watching a live broadcast of her 20-year-old grandson, Sinphet Kruaithong, take third place in the 56-kilogramme division. But a viral video showed the jubilant scene of cheering fans in his rural hometown transform into tragedy after his grandmother, Subin Khongthap, collapsed while watching the competition on a projector. ‘The initial assumption is that she died from heart failure- but we have to wait for the hospital’s result,’ said Somwang Prangprakoan a police officer in northeastern Surin province. A tearful rendition of the traditional Maori war cry has concluded New Zealand’s Olympic campaign in the women’s rugby sevens competition in Rio. Minutes after going down to a powerhouse Australia side in the gold-medal match at Deodoro Stadium on Monday, the Kiwi women gathered on the field to perform an emotional haka in a moving post-script to the tournament. The disappointment was clear on the faces of the team, many of whom had tears flowing down their faces as they performed the traditional moves. They had won the silver medal, and many viewers’ hearts. It was a tender end to a physical match, that had seen the Australian favourites romp home 24-17. Kiwi captain Sarah Goss said she was “pretty gutted” after her team’s loss. “We came out here to win a gold medal and we are bringing back a silver. But silver’s still good in New Zealand’s eyes and we hope we have done them proud,” she said.